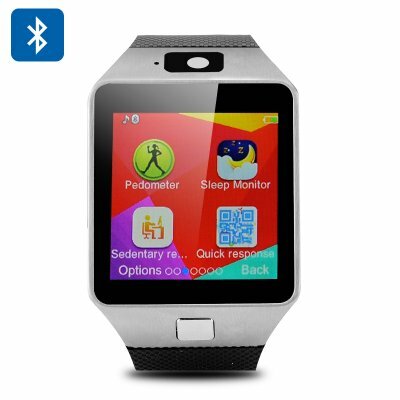 Successfully Added DZ09 Bluetooth Watch Phone - Micro SIM Slot, Micro SD Slot, Pedometer, Sleep Monitor, Sedentary Reminder, Bluetooth Dialler to your Shopping Cart. 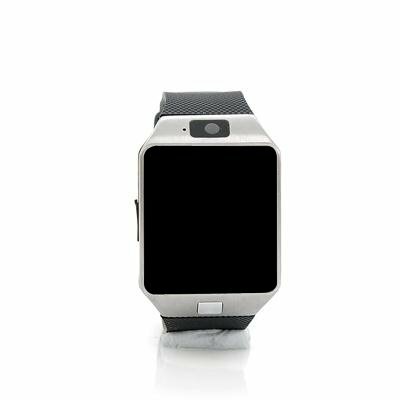 Introducing the DZ09, a new mobile watch phone running on a custom software interface that brings the power of a phone to your wrist. Using a MTK6260A processor and with Bluetooth 3.0 support its able to link up with your Smartphone to be used as a dialer so you can make and receive calls as well as providing call and message notification. Not only that but you can use the custom software to track your daily movements as it has a built in pedometer, sleep monitor and sedentary reminder. The ability to synchronize with your phones calendar means even without your tucked away in your bag you won’t forget those important meetings and with anti lost features you will be reminded should you accidently leave your mobile behind. If you’re going out for a run or just don't want to be weighed down then you can insert a micro SIM card into this watch and leave your phone at home. The DZ09 phone watch can do it all so you don't have to go without. The 1.56 inch touch screen provides a clear interface so you can access the audio and video playing functions while a built in camera lets you take photos and video of your own so you can capture your surroundings when out and about. The micro SD card slot can be used to provide up to 32GB or removable storage for all your media content and with a 180 hour standby battery life you get plenty of action between charges.